But don’t just take my words. 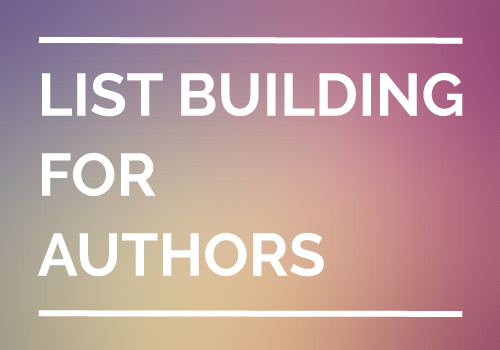 Here are what three established bestselling authors have to say about building a mailing list. Imagine how powerful it is to have a list of 10,000 people and to send an email saying “My book is available now. Click here to buy”. This is the basis of all the Amazon bestseller campaigns which generally use other people’s lists. If you build one yourself, you have a much more targeted list and you are a trusted provider to those people. Remember, if people know, like and trust you, they are more likely to buy your book. If you don’t have a mailing list already, you need to set one up immediately. It’s one of the most powerful tools at your disposal. Without an effective method for collecting readers’ emails (which I’ll get to), every time you have a sales spike, every time you go on a free run, you are missing out on a huge opportunity to build a sustainable future for yourself as a writer. If there’s one thing all professional platform-builders agree on, it’s the importance of building your list. So that’s it, my dear authors – if you aren’t already building an email list, you should go and build one right now. Seriously. You are still not persuaded and have some sort of concerns about doing so? All right, I hear you. In this article, I want to give you FIVE good reasons of why every author – new and experienced, fiction and nonfiction, full-time or wannabe – needs an email list. Good Reason #1. Your email list represents your audience size, your audience size determines your sales. Ever wondered what makes the biggest difference between a bestselling author and someone who is barely surviving in self-publishing? The answer is: their audience size! You have probably heard of that magical book launch that successful authors do, where they send an email saying, “Click here to buy my book.”, then sit back and watch the sales roll in overnight? This is not entirely impossible. You see, to sell anything, including books, you will need an audience who wants to hear and buy from you. Building your own audience is the best thing you can do if you want to succeed as an author in the long run. And building your own email list is the best way to do so. Good Reason #2. Your email list belongs to you. Many times when I ask why authors aren’t building their email lists yet, I find this to be the biggest reason. Before I get into that, well done on you if you have already built a sizeable audience on any social media platform. Like I mentioned, regardless what you want to sell, you will need an audience to do well. But what you may overlook on having an audience base on social media platforms is that, you actually don’t have full control over this audience. Think of it for a second, who really owns the audience? The answer is hopefully obvious – you are not the one. If you have tons of Facebook fans, Facebook owns it. What if Facebook suspend your page? If you have tons of Twitter followers, Twitter owns it. What if Twitter blocks your account? If you have tons of YouTube subscribers, YouTube (or now Google) owns it. What if YouTube removes your popular videos? On one hand, it is definitely great to go viral the right way on social media because these platforms receive high traffic every day, which will bring huge exposure to you and your book. On the other hand, if your social media followers have not been directed properly to your own email list, then you are relying on these networking platforms for your success and are forced to play by their rules. Good Reason #3. Your email list conversion outperforms your social media. Take a step back and ask yourself, what is the purpose of building your audience regardless of email list or social media? I will tell you. You want to get noticed. When it comes to online marketing, you want to get clicked whenever you send out a link, such as a promotion to your book or an update to your new blog post. Remember that “Click here to buy my book” story? That works only when people do click on your link. Now imagine you have over 10,000 Twitter followers and you send out a Tweet to tell them about your newly launched book or course. How many clicks do you expect to get? Noah Kagan sure knows the answer. He sent out a Tweet to his 13,090 followers and got 109 clicks. But guess what he got after sending an email to his list of 3,547 subscribers? He got 882 clicks! From 0.8% to 24.8% Click-Through-Rate (CTR), that is a 8X improvement on email list over Twitter! Quantity. Email V.S. Tweet or Facebook News Feed, which one do you get bombarded MORE per day? Which one do you tend to ignore or scan quickly? And which one are you likely to examine a little bit more? By sending out a tweet or posting something on Facebook, your audience may or may not see it because of the large touch-and-go information bits they receive every minute; but getting directly to their inboxes you stand a higher chance to win their attention even in a badly-managed inbox, because your message stays there and doesn’t go away as easily. Quality. You may argue with me. But the time of spamming Chain Emails flooding your inbox is over. (Hint: guess where they go now?) With better technologies and higher awareness, we have now been trained to treat our inbox better over the years. We see messages landing in our email inbox as more important and higher priority that we have to attend to, so if you can prove that you’re a trusted provider of useful content, your emails will get clicked and read. As a matter of fact, your audience would actually love and can’t wait to read your messages! You might also realise by now the number itself isn’t the one that is crushing it, so don’t blindly chase for more Facebook fans or Twitter followers sort of thing. If done right, social media networking may be a powerful way to get you tons of exposure. But more attention isn’t always equal to more sales. You want to get noticed. You want clicks. You want conversion. Good Reason #4. Your email list is meant for building relationships. You aren’t just building your audience in numbers; you are cultivating an author-audience relationship in a form of trust. And email or email marketing is a better way to do that. The first step in establishing any type of relationship is none other than trust. By giving you their email address it shows your audience trust you. At the very least, they trust that you are not going to spam but deliver useful content to their inboxes. Then, you are able and supposed to follow up your list regularly because the second step to a sustainable relationship is built on repeated engagement. With an autoresponder service, all your follow-up messages can be tailored, loaded and sent precisely at whatever date and time and to whoever you want. This makes the engagement different from just tweeting a 140-character sentence, or posting an interesting photo on your Facebook wall. But a more private and personal way to talk directly to your audience, even if you have a lot of them. Note that you shouldn’t just pay attention to just how large in number your list is, but also how engaged your subscribers are with you. Once you have established a strong relationship with your audience, you can leverage on it! Good Reason #5. Your email list is your most valuable asset. For sure, go ahead and send out a promotion and ask your list to buy your book. You don’t have to rely on Google to send you traffic, nor do you need to pay more for advertising. With your email list you have the power in your hand to potentially sell more books easily. But your email list is more than just that. You form a small army around your author brand. Your subscribers are a group of people who are happy to spread and share your work to help you reach a wider audience. You open a new door to “World of Opportunities”. Publishers and media are more interested to look for authors who already have their own audience for interviews, press, joint ventures and even a new book contract! You become a better “deal” in your industry. 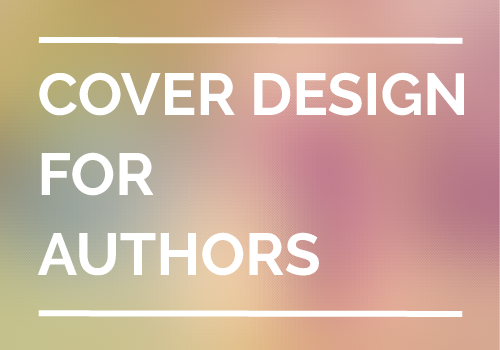 Your peers and other authors, even the more established one in your niche are more keen to approach you in both monetised and non-monetised work. Co-author a new book? Throw a book launch party together? With your own audience you level-up your position in a big market. You offer what the market want to read. From sending out broad question like “What should I write for my next book” to multi-question survey, you have real people under your belt to talk to in market research. Instead of writing in the vacuum and end up selling to no one, you invite them to share what they want and need help with, and in turn create something valuable that they are willing to buy. You make selling and marketing your book easier. Want to get book reviews? Ask your list. Want to run a book giveaway? Tell your list. Make sure you are consistently a trusted source to them first, and your list of subscribers will be more than happy to return you the favour. By now you should be convinced of why having an email list is your golden ticket to building an established author brand, reaching out to wide audience and selling more books. But if you don’t, let’s see if I am able to get into your head and eliminate those last few concerns and get you started on building one. The answer is no. It’s straightforward and I will break the process down in 3 steps. Step 1. Sign up an email service provider. I use MailChimp, others use Aweber or ConvertKit and there are many more similar autoresponders you can find online. There will be one that suits you. Step 2. Put up an email sign up form on your website. This is how to do so in MailChimp. If you don’t have a website yet, you still are able to collect email addresses by setting up a book landing page. Step 3. Offer a good opt-in incentive. Give away something small, specific and useful to your audience. It can be as simple as a free chapter of your latest book. Cost a lot of money? These are the best 3 email marketing autoresponders that I know of, and they all come with either a free trial or beginner’s plan. Aweber is $19 for up to 500 subscribers and unlimited emails per month. You can try AWeber free for the first 30 days. ConvertKit is $49 for up to 3,000 subscribers and up to 10x emails of your total subscriber count per month. You can ask for a refund within 30 days if you are not happy with the service. On top of the basic features of collecting and sending emails, all of these autoresponder services offer more perks that you need to help you build a mailing list. Take a lot of time? Many overcomplicate the process. The basis of email marketing takes two parts. To set up, you have my three steps above. And you can finish setting it up within 15 minutes or less, depending on your skill level. To maintain, if you know how to write and send a good email periodically, you know how to build an email list because that is exactly what it needs. Building your own email list is essentially building your own audience. To become a successful author in your genre, you know how important it is to have “your own people”. So, don’t put off building your mailing list! It has proven to be one of the best assets authors should have in online marketing. Over to you now, have you been building an email list already? How have you been using it so far? If you don’t, what is your biggest struggle in building one? Let me know in the comments how I could help you out!